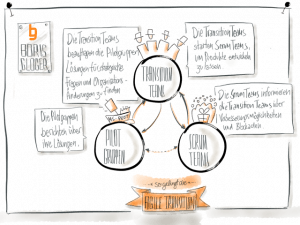 Scrum basis – roles, meetings, artifacts, scaled Scrum. 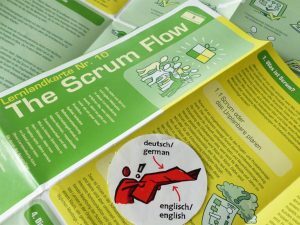 The Scrum Checklist is available in German and English. 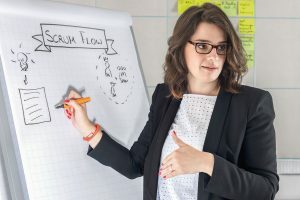 Scrum Flow provides a visual overview of the interaction between roles in Scrum and the sequence of all meetings in a Sprint. 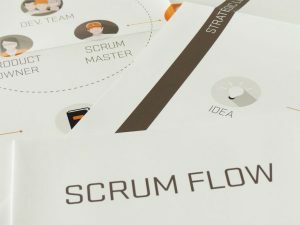 Scrum Flow is available in English. This is how estimation works. 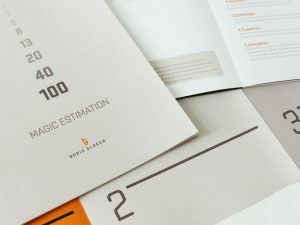 The Magic Estimation poster explains the process of estimating on the frontside and has the Estimation Scale on the backside for laying down User Stories. 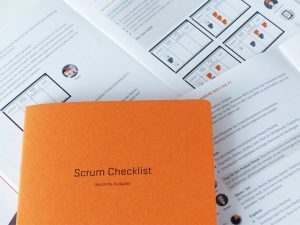 The Scrum Checklist is a compact summarization of the Roles, Meetings and Artifacts. 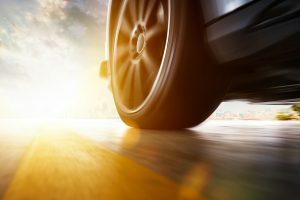 Precise instructions give you confidence when working with your team, customers, users and management. 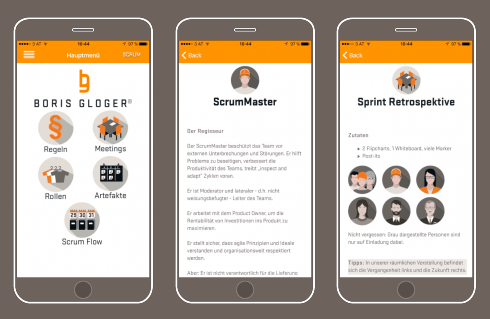 The App is available in German and English, for iOS 9.0 or higher. Compatible with iPhone, iPad and iPod touch. 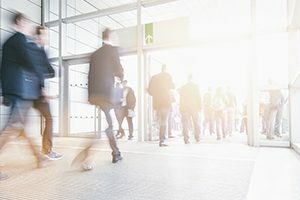 A successful agile transition – transition team, pilot group, Scrum teams. 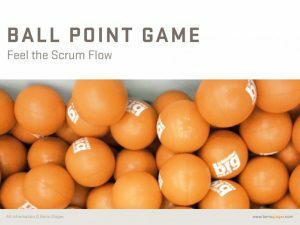 Feel the Scrum Flow – game instructions, including all the rules and templates, are available in English. 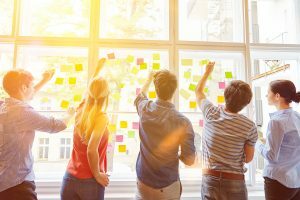 This learning map takes you through the Scrum Flow and explains the mindset behind agile practices. 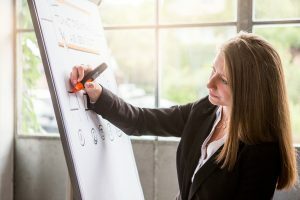 The learning map is available in German and English.